Friday’s Fresh Five! (8/16/13) | What about this? Bzzzzzz-bzzzzzz-bzzzzzz . . . bzzzzzz-bzzzzzz-bzzzzzz . . . ah-choo! 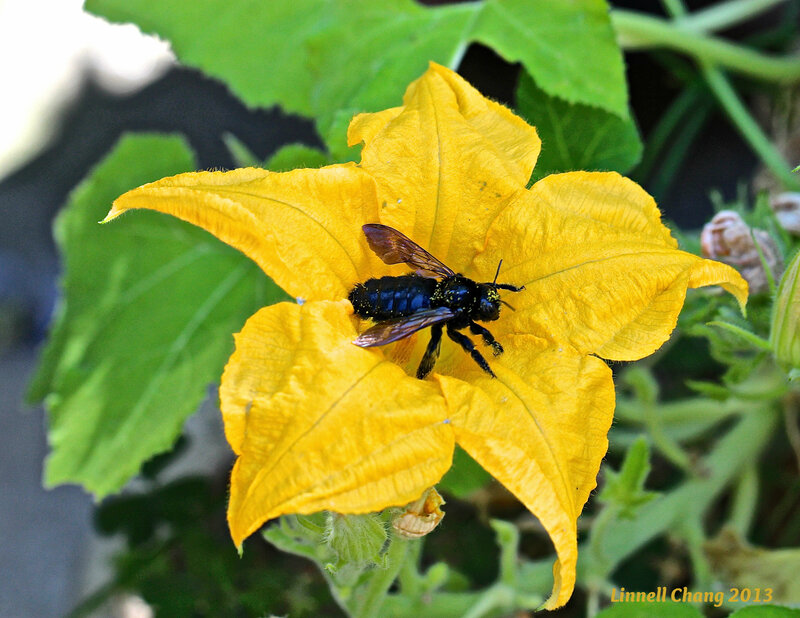 A large black bee darted quickly in and out of squash blossoms. If a bee could sneeze, I imagine this one would, because it was covered from head to tail in pollen (click on the photo to see all the pollen). After hearing gardeners complain of low vegetable yields due to lack of pollination, I’m happy to have this bee in my garden. However, I’m not so thrilled to learn that it’s a carpenter bee, the type of bee that burrows into wood! If you are planning on doing some serious traveling, you will want to check out The Ultimate Packing List for Full-Time Travel by the Professional Hobo. She lists what she takes, why she takes them, and where you can purchase these items. If you have imagination, most things can have more than one life or one purpose. Some of the ideas in the article Creative Ways to Repurpose & Reuse Old Stuff I’ve seen before, but that’s probably because they are really great ideas and have been well-circulated. 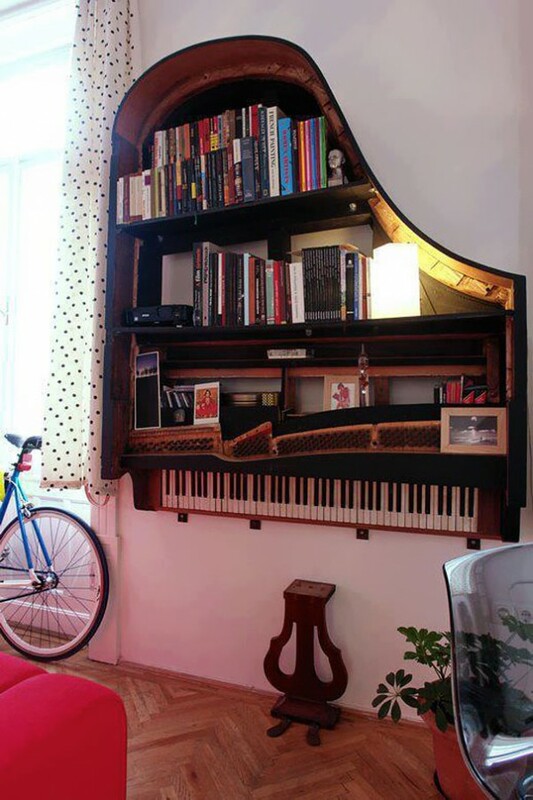 Thanks to creative people who continually find new ways to reuse things! 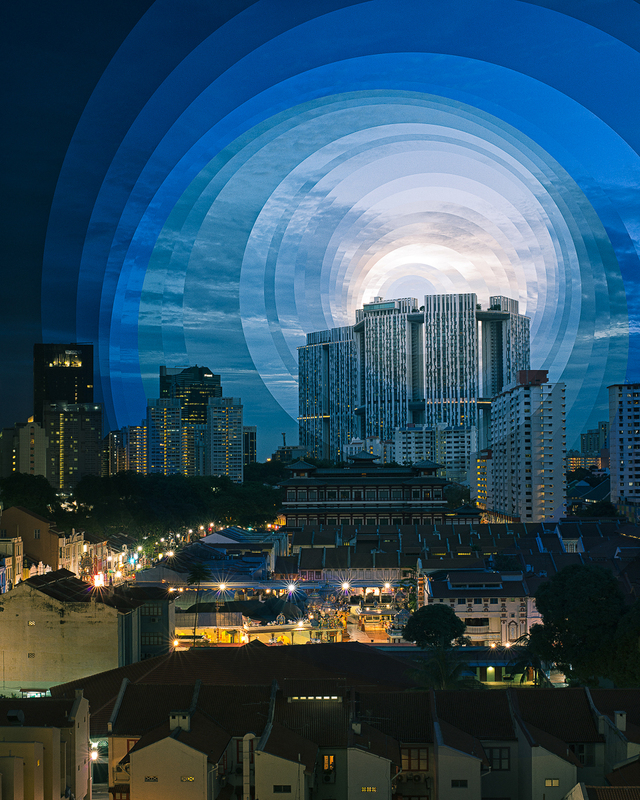 Photographer Fong Qi Wei places an emphasis on time in his collection of work called Time is a Dimension. His photographs reveal landscapes, cityscapes, and seascapes during a 2 to 4 hour period, rather than just a moment in time. Lindell, the packing article is priceless! Thanks! I’m sharing it with all my “traveler” friends!